Back Bay Ringers – Christmas is Coming! 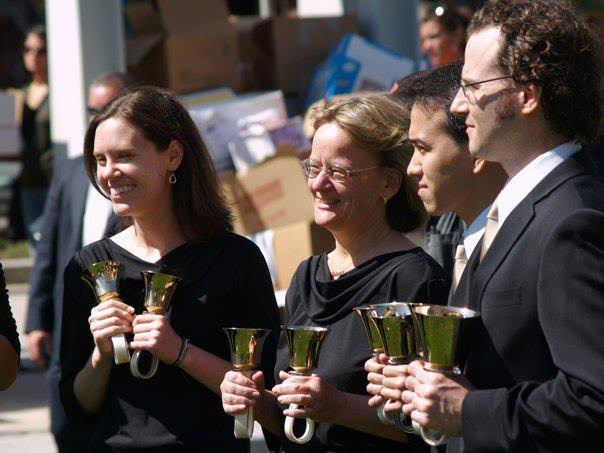 Labor Day has come and gone, so it must be time for winter handbell concerts! No? Well, Back Bay Ringers is hard at work preparing for the Christmas season. Actually, we never stopped! Following our successful performance at National Seminar in July, we held our annual Summer Ring on August 15th, attended by over 20 enthusiastic friends of BBR. We’re excited to begin work on our winter season and perform for our loyal fans! Our schedule is jam-packed with six concert opportunities, and we trust that you can make one (or more!!!) of them. See below more more information. Welcome to fall. We hope yours is a great one! Looking for unique entertainment for your next event or party? Look no further than a BBR Quartet! We perform year-round at public or private events. Performance fees vary. Contact Donna at dmatson@backbayringers.org for more information. Give us the gift of your time! We are looking for volunteers to help on our committees or to help at concerts as ushers and ticket takers. Please contact Donna at dmatson@backbayringers.org if interested. It’s easier than ever to give back to BBR! If you use BBR’s Amazon Smile link to start your shopping on Amazon, BBR will receive a percentage of the purchase price. Thank you for your support!